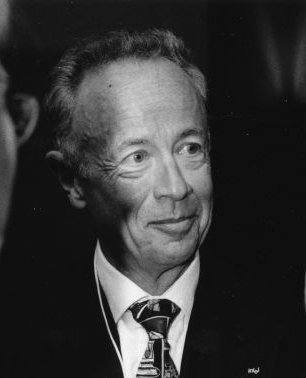 Andy Grove is a famous Businessman from Hungary, he is 82 years old and still alive, born September 2, 1936. Andrew Grove real name András István Gróf is an engineer with a doctorate in chemical engineering, American entrepreneur Hungarian-born co-founder of Intel Corporation in 1968 (world's leading manufacturer of microprocessor ) with Gordon Moore and Robert Noyce. He is also professor of strategy at Stanford University in Silicon Valley in California. He is born under the zodiac virgo, who is known for Analyzing, Practical, Reflective, Observation, Thoughtful. Our collection contains 8 quotes who is written / told by Andy, under the main topic Technology. "Congress will pass a law restricting public comment on the Internet to individuals who have spent a minimum of one hour actually accomplishing a specific task while on line"
"So give me a turbulent world as opposed to a quiet world and I'll take the turbulent one"
"If the world operates as one big market, every employee will compete with every person anywhere in the world who is capable of doing the same job. There are lots of them and many of them are hungry"
"Leaders have to act more quickly today. The pressure comes much faster"
"Just as we could have rode into the sunset, along came the Internet, and it tripled the significance of the PC"
"There is at least one point in the history of any company when you have to change dramatically to rise to the next level of performance. Miss that moment - and you start to decline"